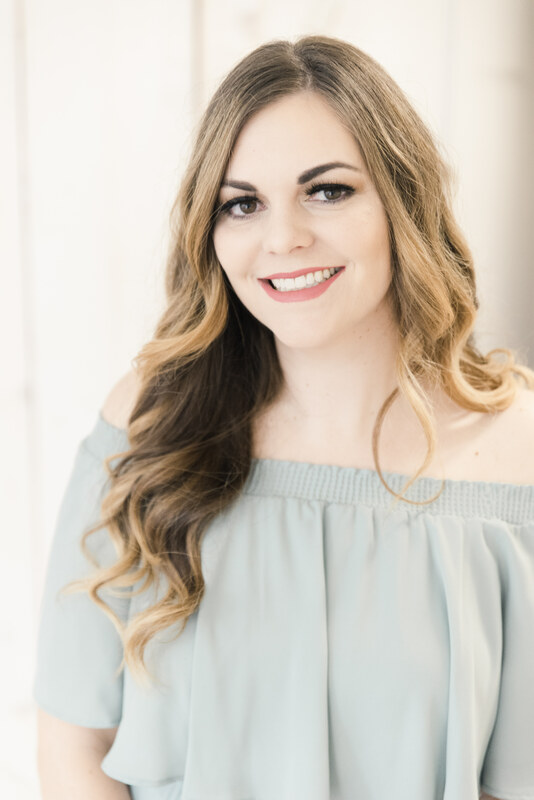 I recently got the opportunity to try some Mehron makeup products, and I’m loving what I tested out! Mehron is a line of theater makeup but don’t let that scare you away! All that means to the consumer is that it’s meant to be long wearing and vibrant. These products have been around since 1927 and are used in many large productions including the Blue Man Group, Cirque du Soleil, the Metropolitan Opera, Ringling Brothers and Barnum & Bailey Circus, and the American Ballet Theatre. Read on to hear my thoughts on a few of their products! 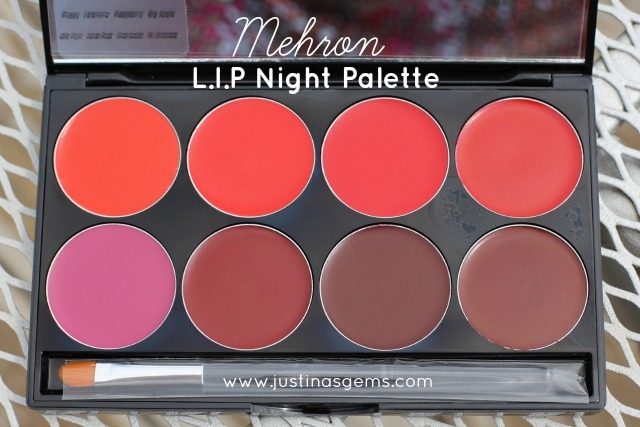 Mehron has lots of different lip products and then two lip palettes- one for day and one for night. I tried the night palette. These products are known as a L.I.P Cream and have a creamy conditioning formula to keep the lips smooth and supple. I found that applying the lip creams with the provided brush was easy and left my lips feeling smooth. The formula goes on thin but is really creamy and the wear time was super long lasting. 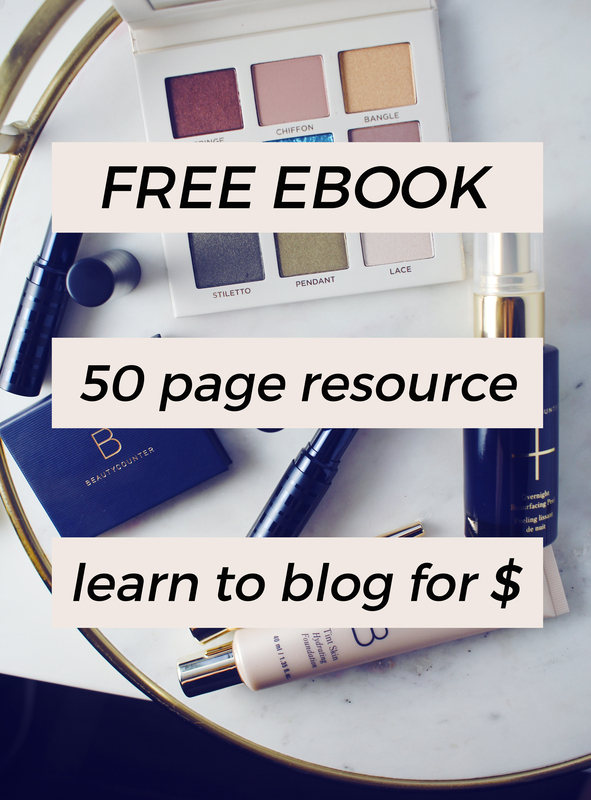 I was left with a stain on my lips long after the hydrating properties went away, and after I ate I still had product on my lips. The pans are huge. You will get a lot of use out of this palette if you like the shades! The top row contains various shades of reds and berries. 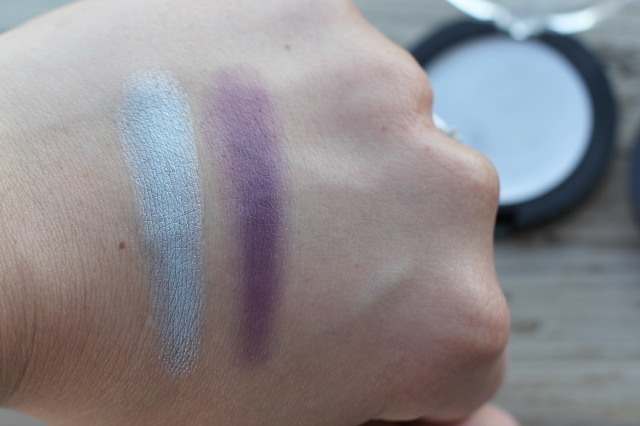 These swatches were after barely grazing my finger in the pan and swiping the shades on my arm. They are rich and vibrant! 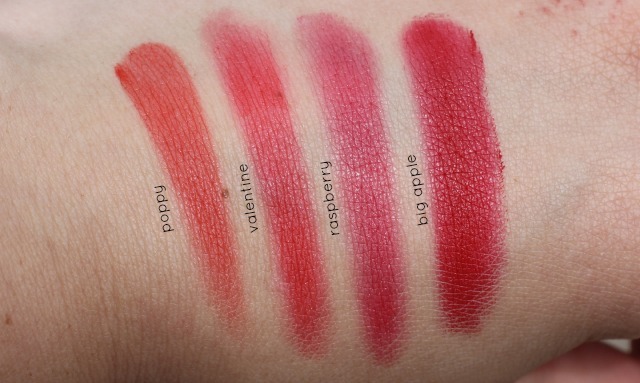 I keep thinking about what types of theater productions you would wear each lip shade for. I see Poppy as being more of a 1960s red and I am picturing someone playing Lucille Ball and wearing the Big Apple. There are some fun colors in this row! The second row is more vampy. I see myself getting a lot of mileage out of these shades come fall and winter. These swatches are a little more built up- more like 2 passes on the skin. Wild Plum is the shade I am immediately drawn to. 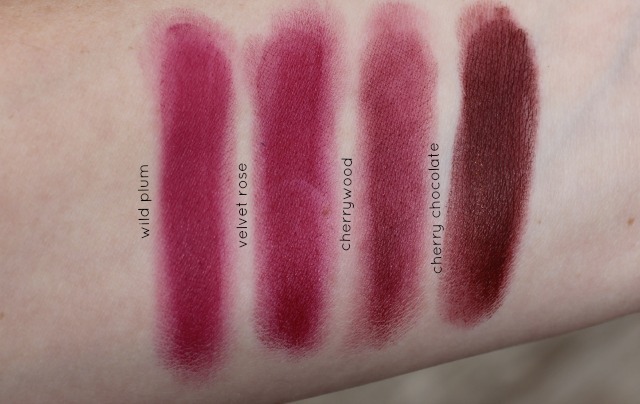 In the pan, Velvet Rose looks so different than Wild Plum but it translates to looking very similar when swatched. I see Cherry Chocolate looking great on darker skin or used to make an ombre lip. There are some great shades here! When using these lip creams, I dug into this palette before the rest of the makeup I tried. I had not yet researched the company- just took pictures and dug in. I immediately assumed that Mehron was a theater makeup brand after seeing how vibrantly these colors came out. They are so rich and pretty! I think most people will really enjoy these. I would be curious about the day palette too! 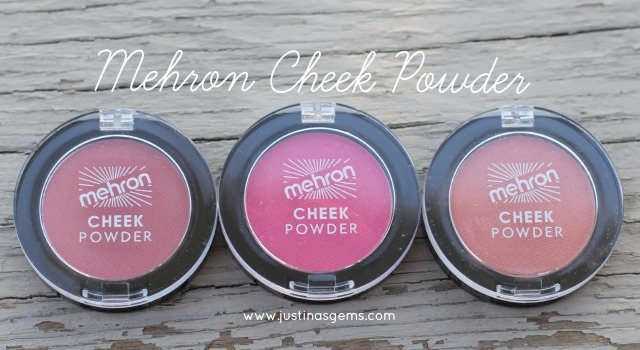 The Cheek Powders were my favorite product I tried from Mehron and at $8.95 each these are seriously reasonable for the quality. 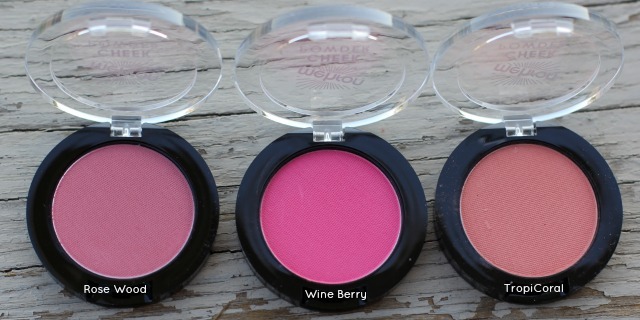 These are a line of highly concentrated, matte pigmentation blushes. As you can see, Wine Berry is a very intense, bright pink, so you’ll want to be very careful with these! Hardly a swipe is necessary to get color payoff with these so it’s easy for it to turn clowny fast if you’re not careful. I would avoid a dense makeup brush with these and use something that deposits a little color at a time and very precisely. Of the three colors, I have a hard time choosing a favorite! I love how vibrant Wine Berry is, but I have been wearing TropiCoral the most. 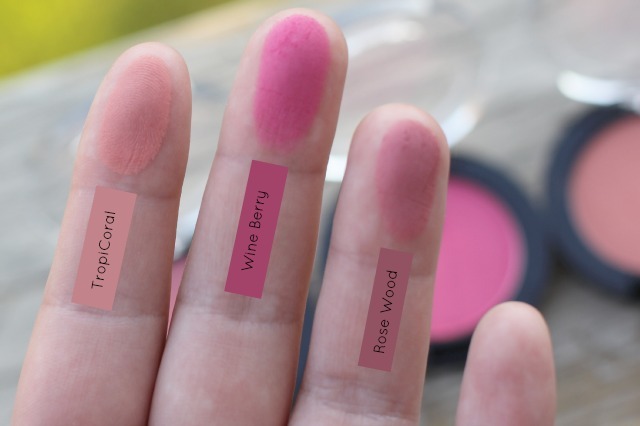 Rose Wood is also a gorgeous every day shade. The pigmentation here is excellent, and the swatches below show me barely dipping a finger in the pan to get a ton of color. I messed up my swatch labeling the first time around, which is why I have kind of a funky way of showcasing what colors they are! Just remember when using theater makeup on your cheeks, a little goes a super long way. These blushes will probably last me for the rest of my life because you need so little! I am in love with them and the price point is just a bonus! The E.Y.E Cream probably too the most experimentation of any of these products to get them to work for me. I am drawn to silvers and purples like moth to flame, so these were the perfect shades to try when testing out Mehron for the first time! These shades are cream to powder and are made to be worn over cream and cake bases. They are a really thin cream, almost similar in texture to the lip creams I tried, and definitely a different texture than any cream eyeshadow I have ever tried. I tried them alone on my lid initially and applied way too much and it creased immediately. Remembering it was theater makeup and a little goes a long way, I went back and tried a thin coat. That worked out the best for me, with no base. If I tried using a base, the formula of the base and the formula of the eye cream seemed to separate funky on my lid. I was not expecting such gorgeous color payoff of the silver when I swatched it! The silver is a very white silver shade and really striking. I have lots of silvers that are super shimmery, deeper, and darker. This was like a “true” silver or like a tin man type shade. It’s bright and vibrant and matte with a sheen to it. I don’t think I’ve ever seen a matte silver before so this was so interesting to me to look at and wear. Amethyst was a sheer purple. In humidity, these didn’t hold up on my lid. I haven’t given up trying yet, and I think I need to learn a new application method. Without primer so far and in a thin layer on the lid, these do hold up for a couple hours on me, but fade down to nothing after a couple hours. I think I need to look into the cream and cake bases they are talking about! 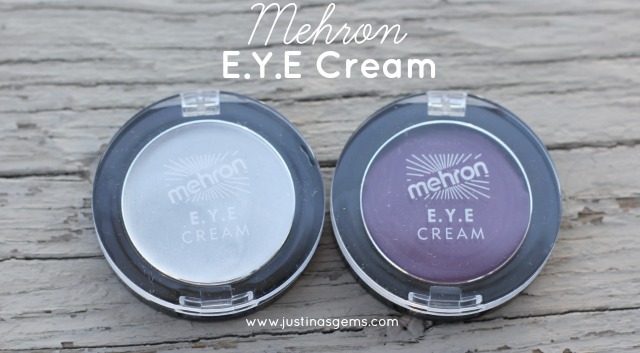 I had a wonderful experience testing out the Mehron makeup line! Who would’ve thought I would love theater makeup so much for every day! If you are looking for something budge proof this season, give the a whirl! I recommend starting with the Mehron Cheek Powders first. That TropiCoral is to die for! What product speaks to you the most? Have you tried these? oh mannn I need those blushes asap! 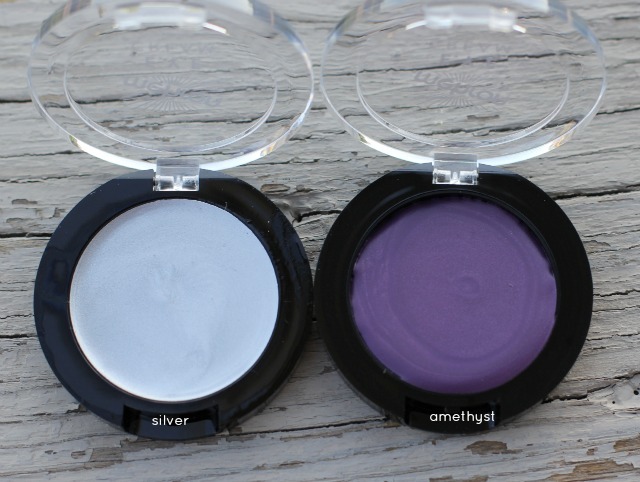 Those two cream eyeshadows are super pretty, I can see why you were drawn to them! What a beautiful bunch of makeup!! I am loving those blush shades especially! I love Mehron products! The cream eyeshadows are beautiful. what a great lip palette! I´ve never heard of this brand before, but this lip palette looks great! Those blushes look like heaven!! Every time that I see Mehron at beauty shows, I am always intimidated because it seems like their makeup is just for the pros. But WHOA, I so need to check this palette out. Ok. That big apple lip color is awesome looking! I might need to check this brand out! such pretty lip shades. i want that palette. Love the eye shadows and blushes. Big Apple is so beautiful! Oh the dark reds will be perfect for fall! I am so in love with all of these. I need to get me some Mehron. I’m immediately drawn to the second row of lip colors (though I really dislike pots of lip color..) and that rosewood blush. Such pretty colors! I think of Mehron as a prestige brand; I’m surprised they’re so inexpensive! Great deal! The blushes are so pretty ! I am really digging the cheek powders – what a great price point! I know, I could hardly believe it. I am really stumped which is my favorite for every day between TropiCoral and Rose Wood! The blushes are phenomenal! I also really like their eyeshadows (especially the black!). How do you get the eye creams to stick? I have had a bit of trouble with them but not ready to give up! I’ve only heard good things about this brand! OMG that Velvet Rose lippie! I think it would look stunning on you Aprill! I have some Mehron pigments and they are great. I will have to look at their stuff more closely at IMATS.